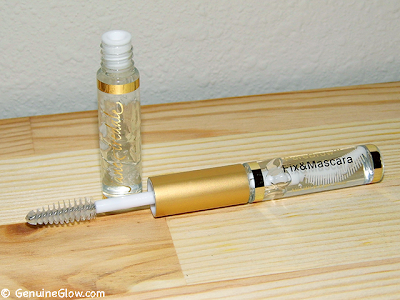 In my recent post about the products I that would repurchase I made sure I mentioned this clear mascara from Jane Iredale. I have been using it for now about three months and I do not go one day without it! 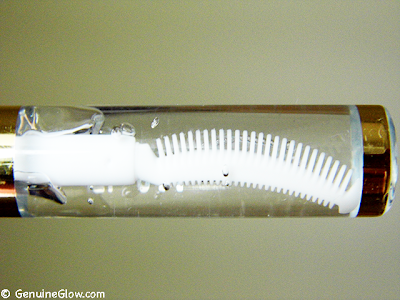 This is a double-ended tube, with a tiny comb on one side, and a spoolie brush on the other. 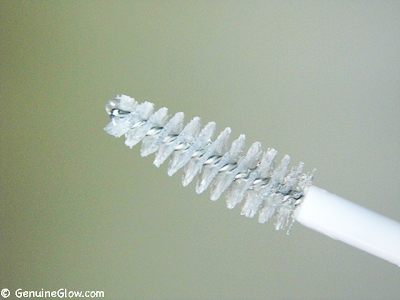 The manufacturer suggests using the comb end as a brow setting gel, and the spoolie end as a regular mascara. Personally, I like to use the spoolie end on my brows too. Mascara Use: this product will give the nicest natural look to your lashes, adding no color but defining them and (if you curl your lashes) holding the curl beautifully. I was very impressed by this particular aspect, because most regular mascaras add weight to the lashes and ruin the curl, while this one keeps my lashes curled all day long! 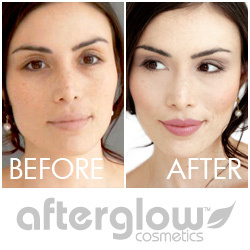 Brow Gel Use: my first consideration is that all the brow gels I have tried in the past are loaded with parabens, propylene glycol, synthetic fragrances and other questionable ingredients. Other gels felt a little bit like glue on my brows. This gel feels very light when applied, yet it performs very well, keeping my unruly little hairs in place all day. When I do not have enough time for filling I just quickly brush my brows with the gel to set them in place. Ingredients: Water/Eau/Aqua, PVP, Glycerin, Glyceryl Polymethacrylate, Carbomer, Panthenol, Aloe Barbadensis Leaf Extract, Hydrolized Wheat Protein, Algae Extract, Vanilla Tahitensis Fruit Extract, Prunus Amygdalus Dulcis (Sweet Almond) Seed Extract. EWG's Skin Deep Cosmetic Database Score is 1. This product is unscented. - You like multi-tasking products. Price: $20 - $26. You can find this product on Amazon here.